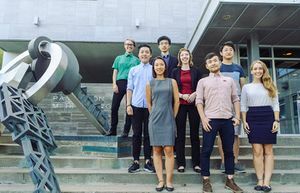 The Materials Engineering Undergraduate Society (MEUS) is a student run organization that strives to improve the experience of undergraduates in the department. MEUS organizes social and industry events, and acts as a liaison between the faculty and undergraduates. All Materials Engineering students are a parts of the student society, and may run for council positions. For more information please visit our website ( http://meus.mcgilleus.ca ) and Facebook page ( https://www.facebook.com/McGillMEUS/ ). 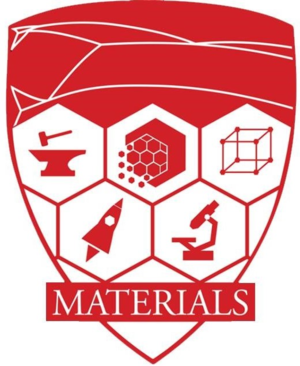 The purpose of the Materials Engineering Undergraduate Society “MEUS” shall be: To create a unified, cohesive body of undergraduate students that collaborate to enhance the student experience for all. Materials has several intramural sports teams. Past teams have included dodgeball, broomball, soccer, and volley ball. Come play or support our teams! Twice a year, MEUS hosts a pub in the basement of the McConnell building, in the common room. Come enjoy a beverage and a grilled cheese, try your hand at our die games and socialize with fellow engineers. Banquet is held twice a year, in a fancy restaurant. It is a great opportunity to wine and dine with your fellow classmates (and sometimes profs) and to finish off a semester in high spirits! Throughout the year MEUS hosts several apartment crawls. A great way to socialize with your classmates while enjoying your favorite carbonated wheat beverage. The Moose Coords is a committee of students independent of the MEUS executive which plans social and professional events. Please follow our instagram: moose_coords to be updated with all the exciting upcoming events. Throughout the year MEUS students are given the opportunity to take a tour of a local industry. A great way to network and scope out a potential Co-op! MetSoc is an external professional network association. This organization provides conferences and scholarships for materials students. This page was last edited on 29 January 2019, at 16:57.